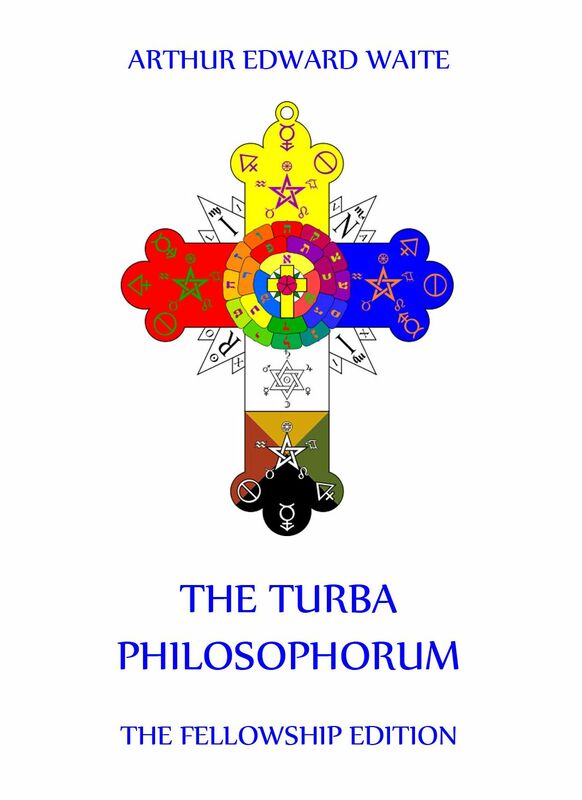 The Turba Philosophorum , or Assembly of the Sages. An Ancient Alchemical Treatise, with the chief Readings of the Shorter Codex. Parallels from Greek Alchemists. and Explanations of obscure terms. Translated, with Introduction and Notes, by A.E. Waite. A great symposium or debate of the Adepts assembled in convocation. The work ranks next to Gober as a fountain-head of alchemy in Western Europe. It reects the earliest Byzantine, Syrian and Arabian writers. This famous work is accorded the highest place among the works of Alchemical Philosophy which are available for the students in the English language. Waite joined the Outer Order of the Hermetic Order of the Golden Dawn in January 1891 after being introduced by E.W. Berridge. In 1893 he withdrew from the Golden Dawn. In 1896 he rejoined the Outer Order of the Golden Dawn. In 1899 he entered the Second order of the Golden Dawn. He became a Freemason in 1901, and entered the Societas Rosicruciana in Anglia in 1902. In 1903 Waite founded the Independent and Rectified Order R. R. et A. C. This Order was disbanded in 1914. The Golden Dawn was torn by internal feuding until Waite’s departure in 1914; in July 1915 he formed the Fellowship of the Rosy Cross, not to be confused with the Societas Rosicruciana. By that time there existed some half-dozen offshoots from the original Golden Dawn, and as a whole it never recovered. Aleister Crowley, Waite’s foe, referred to him as the villainous „Arthwate“ in his novel Moonchild and referred to him as „Dead Waite“ in his magazine Equinox. Lovecraft has a villainous wizard in his short story „The Thing on the Doorstep“ called Ephraim Waite; according to Robert M. Price, this character was based on Waite. Dieser Beitrag wurde unter Occultism, The Sacred Books (English) veröffentlicht. Setze ein Lesezeichen auf den Permalink.